TuneGet is a break-through tool that finds and downloads any music and music video from the web in two clicks for free. No hidden subscription fees. Get easy and quick downloads of any song from a huge database only at the cost of the program. - Embrace the whole world of music and music video only for the price of a program! TuneGet user interface was built for intuitive use and fast performance. Your search results will come back within seconds. Song downloads are just as fast, in fact you can download entire albums within just a few minutes! No more need to search for music on the internet. The doorway to the entire music world can be now on your desktop in the form of TuneGet. TuneGet Music Video can additionally download music videos. The downloaded videos can be converted to many formats compatible with your PC, iPod, iPhone, any portable device. 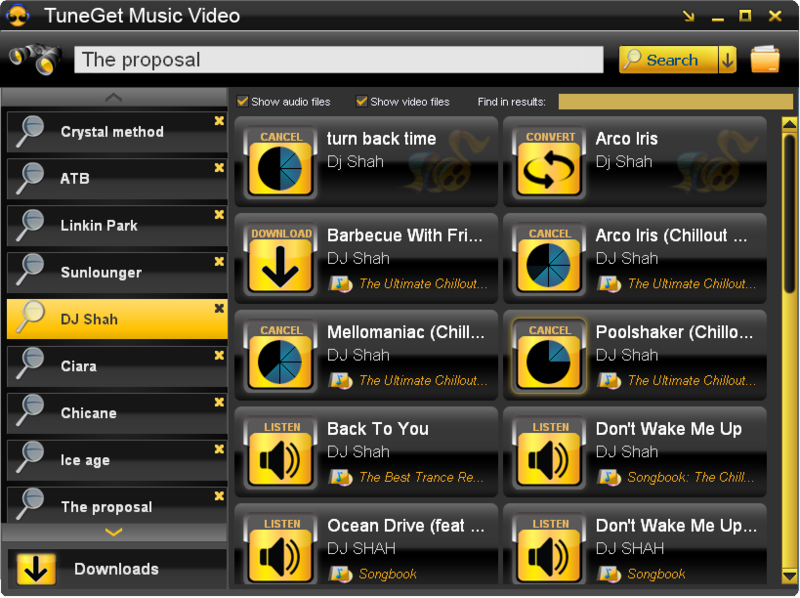 2012-06-11 3.3.8 Find and download any music and music video from the web in two clicks.